Juncos Racing is a championship-winning Mazda Road to Indy team currently running in Pro 2000 Championship presented by Cooper Tires and Indy Lights Championship presented by Cooper Tires. Rinus VeeKay started his American racing adventure with Pabst Racing in 2017, making his debut in the USF2000 in the Streets of St. Petersburg. 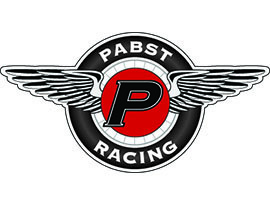 In a season with 12 podiums out of 14 races with three wins, Pabst and VeeKay showed to be a great team. MP Motorsport is Holland’s most professional formula cars racing team, running in Formula 2, Formula Renault and Formula 4. MP Motorsport supported VeeKay in preparation for his first season in motorsports at circuits such as Mugello and Estoril in Formula Renault. Scoring 4 podiums out of 6 races showed them to be a good team.